HOUSTON – Sept. 4, 2018 – METdancewill start its 23rdseason with an evening of extraordinary dance performances under the stars. The “Season Kickoff”is slated for 8 p.m. on Saturday, Oct. 6 at Discovery Green®, 1500 McKinney. The nonprofit’s 23rdseason, “Better Together,” celebrates the great heights that can be reached by working together. Performances will highlight the company’s dynamic work as an ensemble, focusing on the themes of connection, collaboration and partnership. “Season Kickoff” will feature audience favorites from Robbie Moore, Christian Denice, 2018 Emerging Choreographer awardee Tsai Hsi Hung and an excerpt from a forthcoming piece by Joshua Manculich. The program will include a guest appearance by MET too Youth Company, which provides young dancers with rigorous training focused on preparing them for dance programs at universities and a professional career in dance performance. The MET too dancers work closely with an impressive array of successful and award-winning choreographers and dance artists. There will also be a pre-show site-specific work in the moonGARDEN. Sponsors for the event include Discovery Green®, Runaway Productions, City of Houston, Houston Arts Alliance, Texas Commission on the Arts, Houston Endowment, E & G Amish Furniture and Dance USA. 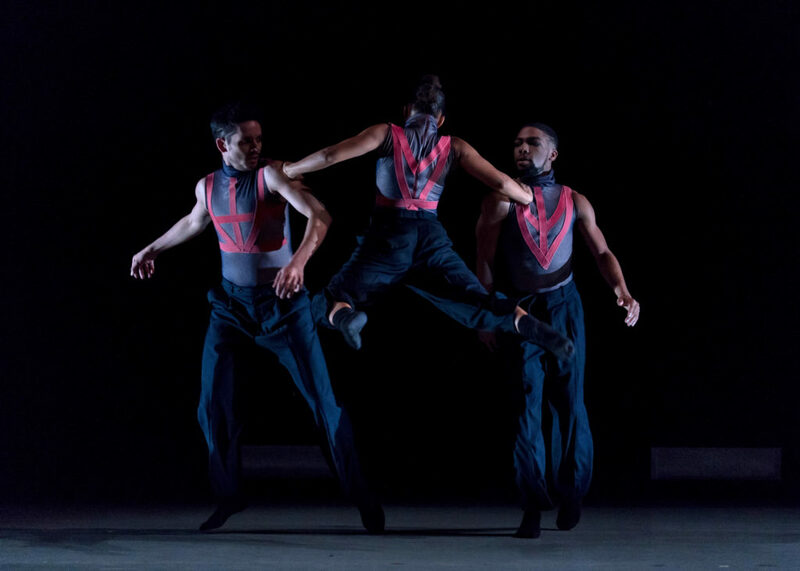 METdancehas excited, inspired, and educated audiences through its unique blend of contemporary concert dance performances and community outreach for more than 20 years. Founded in 1995, METdance pursues a mission to educate and revitalize a passion for dance through world-class instruction and performance. The nonprofitis funded by the Mid-America Arts Alliance, the National Endowment for the Arts, the Windgate Charitable Foundation, Inc. and the state arts agencies of Arkansas, Kansas, Missouri, Nebraska, Oklahoma and Texas. METdance also has a strong community outreach program, including its educational “Swing, Jive, Pop” performances. The shows incorporate history, fashion, music and the arts, while the company dances through the eras of the 1930s Lindy Hop, bops into the 1950s, grooves into the 1970s and ends with the Hip Hop music of today. The company’s home base, the METdance Center, now serves as Houston’s second-largest dance training space, offering comprehensive training in multiple disciplines to students of all experience levels, ages 3 and older. Season ticket packages are available through Oct. 15, priced at $105 per person for one ticket to all five ticketed performances, as well as invitations to open company rehearsals and special events. There is an option to add on MET too Youth Company tickets for $15 each to the season package. For more information about METdance and the upcoming season, visit www.metdance.org. Founded in 1995, METdance strives to educate and revitalize a passion for dance through formal instruction and performance. With professional and youth dance companies, as well as a strong community outreach program, METdance is a leader in the vitality and diversity of Houston’s dance community. The METdance company has traveled across the U.S. to perform works by influential and talented choreographers. Helmed by founder and Executive Director Michelle Smith and Artistic Director Marlana Doyle, the company is the sister organization to the METdance Center, which opened the doors to a newly renovated facility in May 2013 in Houston’s Midtown district. For more information, visit www.metdance.org. « The Houston Fringe Festival Returns to MATCH for 11th YEAR!